Kate Beynon – crackle… & splat! Kate Beynon’s story of Li Ji is an epic, merging Chinese mythology with Beynon’s own family experiences. Li Ji is depicted in various media on adventures in China, Melbourne, and New York, from AD 300 to some time in the future. The character is based on a traditional story of a young woman who acts against social convention to liberate herself and her family. Against the wishes of her parents, she volunteers to be sacrificed to a python that routinely terrorises the kingdom. Instead of complying, however, with the sacrificial rite – as women before her have – she slays the python and frees the kingdom from tyranny. Beynon first presented the story in her work in 1996, copying it in chenille stick from a page of an introductory Chinese-language text, pinning the characters to the wall in fragile, intricate ensembles. The fraying ends resembled ink on parchment, like a stroke of the calligraphy brush, with the figure of Li Ji set beside the text, sword held high, ready to strike. Beynon evidently identified with this protean super-heroine, and Li Ji has been recast in many more of her works. In one animated cartoon, Li Ji is cast as a contemporary heroine living in a big city, experiencing flashbacks to her past as a female warrior in China. In these flashbacks, past and present are fused in an indeterminate locale that combines a mountain idyll with a bustling metropolis. In this way, the mixed-up space and time of the migrant experience is detailed across Beynon’s work, caught between cultures and places, experiencing familiar and hostile circumstances. Some works describe Li Ji’s discrete phases: ancient, contemporary, and future. But these tend to merge in later series where she is cast as a chameleon in New York, appearing alternately in one style then another: Uptown, Dancehall Chic, Harlem, Sci-Fi, and so on. 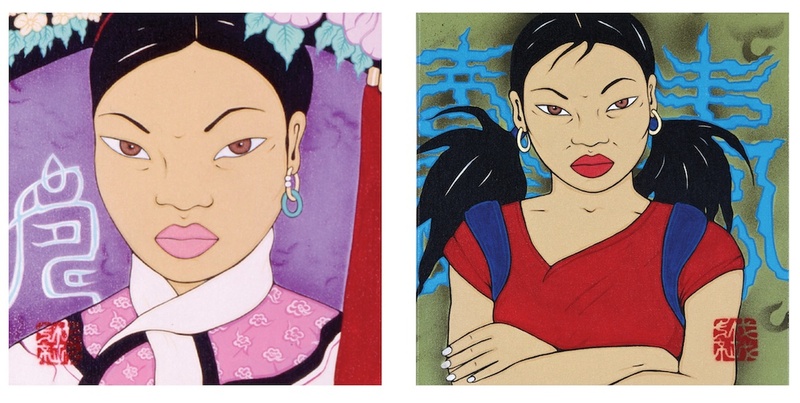 Li Ji’s physiognomy does not change in these representations; rather, her skin colour, clothes, hairstyles, and accessories make her infinitely adaptable. Born of her migrant experience and forged through years of discrimination, Li Ji acquires a supreme metropolitan disposition that ultimately transcends singular racial distinctions. Making a virtue of her ethnicity, enlisting its cosmological power through astrology and numerology (embodied in nine powerful dragons), and with the dog at her side, Li Ji finally appears as a contemporary incarnation of massed historical forces, almost a deity of multiculturalism, a dragon spirit invoking charms and brandishing talismans from the ages. And although not immediately a self-portrait, Li Ji’s travails reflect Beynon’s own migration from Hong Kong to Singapore to Germany to England and finally to Australia, as well as the racism that immigrants confront to varying degrees. 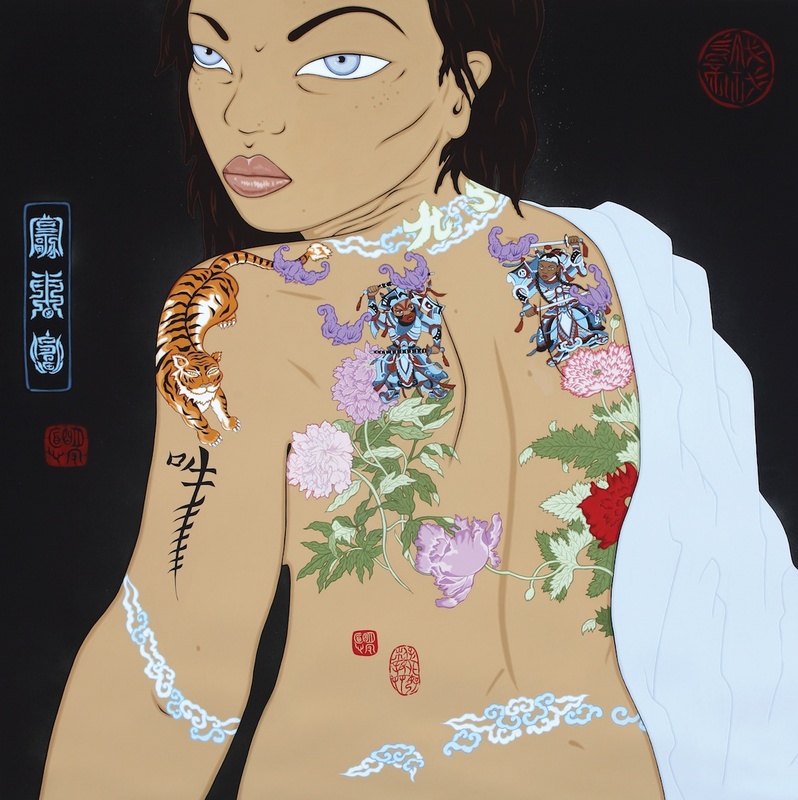 In a coda to these changing depictions of Li Ji, Beynon entered her as a self-portrait in the 2006 Archibald Prize. The secret identity of this masked crusader seemed to be finally revealed.